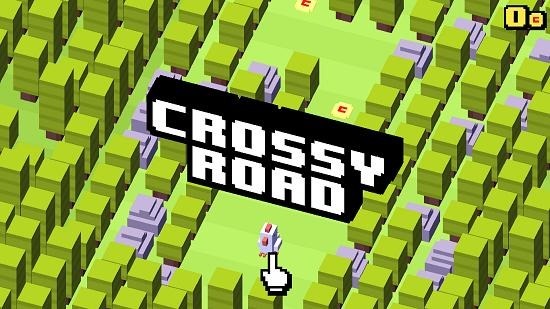 Crossy Road is a free app for Windows 8 and 8.1 which allows you to cross the roads. The game is a fully touch based game with 8 bit graphics that are smooth and have great animations. The game allows you to click and drag your mouse to mimic touch gestures on devices which don’t have touch input. The game is pretty lightweight and can be downloaded for free from the Windows App Store. The game makes for a good way to while away your time and will definitely keep you addicted to it. Crossy Road is available for free from the Windows App Store. 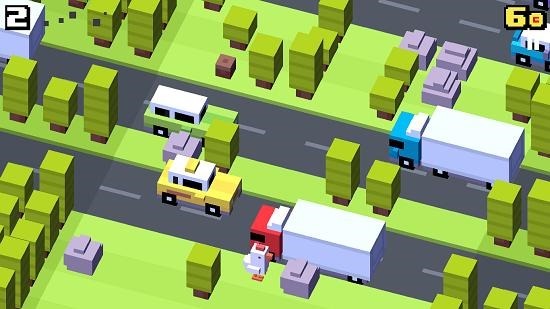 The main screen of Crossy Road looks like the below screenshot. Just tap anywhere on the above screen to begin the gameplay. You can see in the gameplay interface that you have to make the chicken cross the roads with oncoming traffic, over railway lines etc. The game is an endless type wherein the roads don’t end and your score is displayed at the top left corner of the screen where the number indicates the number of roads which you have successfully crossed. Your earned game coins will be visible at the top right. When you hit a car, bus, truck or any vehicle in the oncoming traffic, it’s game over. 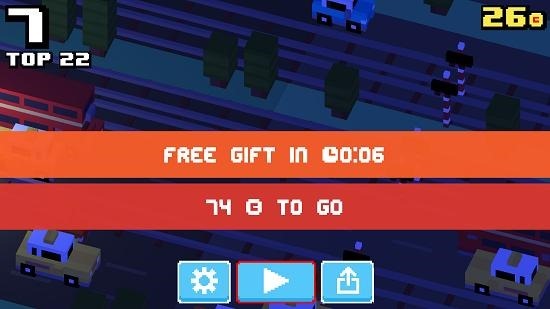 The game also has certain free gifts which appear on the game over screen in certain time intervals. 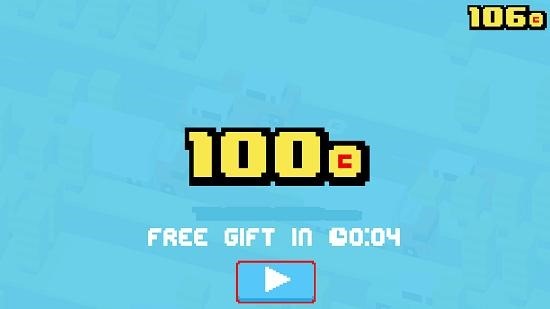 In the above screen, I earned 100 coins as my free gift. This is a wrap of the main features of Crossy Road for Windows 8 and 8.1. Crossy Road is a great game which is available for free from the Windows App Store. You can get it for your device by heading over to the link below.